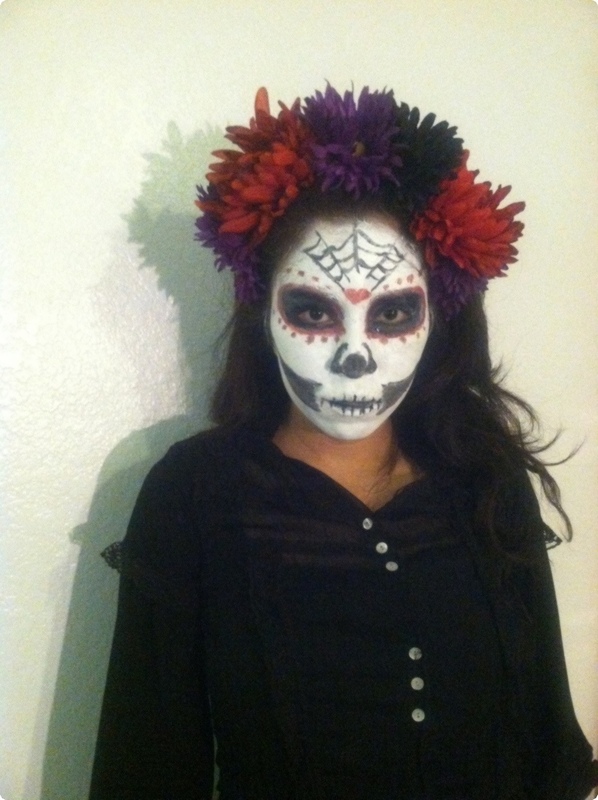 Happy Day of the Dead, which is celebrated the 1st and 2nd of November in the honor and memory of our deceased ancestors. 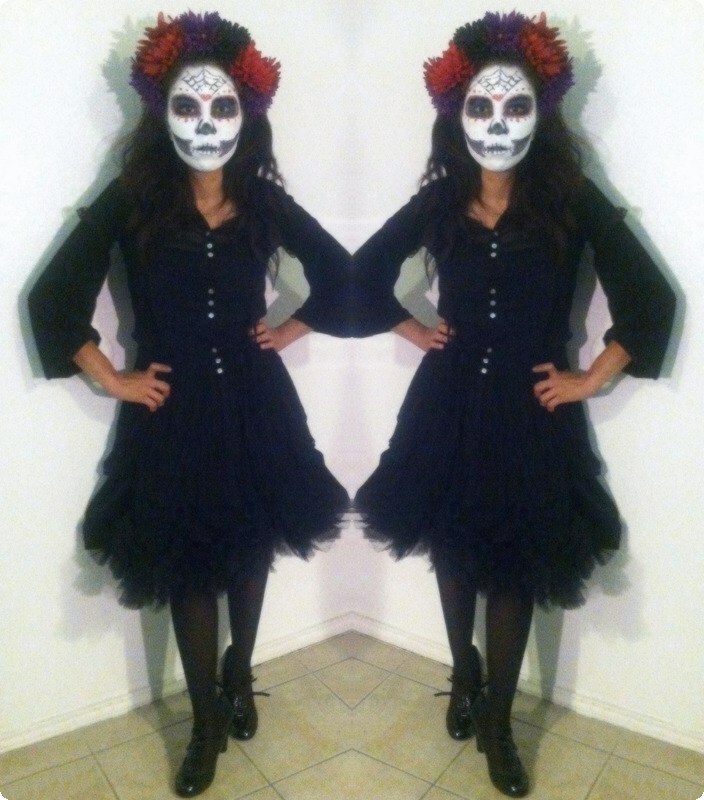 To share my sister's festivities, dressed as 'La Calavera Catrina'; a traditional figure of the Mexican holiday. Dressed all in black, to sympathize mourning. The featured clothing is composed of her own wardrobe and a few pieces are thrifted wear; black shoes and stockings, a ruffly underskirt for some added volume, knee length dress, and a button down blouse. As for the flower crown, her own personal craft. Supplies purchased at a trusty craft store. Just in luck too, these great big flowers were on sale. 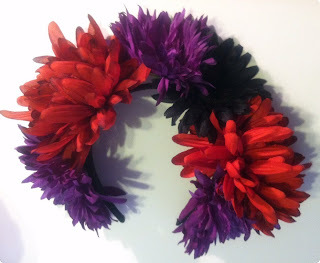 Additional material include a black headband, hot glue gun and glue sticks. To make the crown, pull and cut off the stems. Glue around the base to make the flower appear larger. 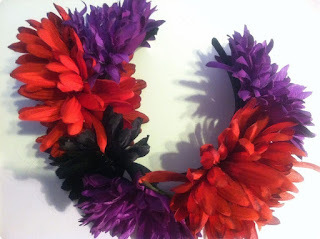 Then arranged them around in such a pattern before gluing them on to the headband. Inspiration for this look is, of course, none other than the beautiful Mexican artist, Frida Kahlo!